Un-earth the riches offered in CasinoLuck, an iGaming site managed by Minotauro Media and licensed by the United Kingdom Gambling Commission and the Malta Gaming Authority. 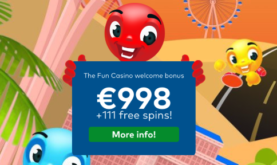 When you join the casino, you will be given a match bonus of 100% up to €150. 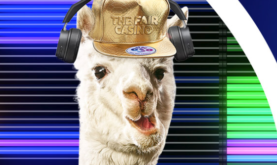 You will also get 150 free spins that you can enjoy on the famous Starburst. 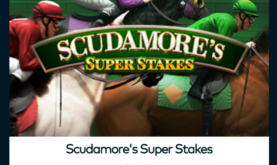 To be eligible you are required to deposit between €20 – €150. Once you register, you will become a member of CasinoLuck’s VIP Program. For every bet, you will earn loyalty rewards that are in turn converted into various freebies. You will enjoy different promotions depending on your VIP level. You will start at Bronze VIP, to Silver VIP, Gold VIP, Platinum VIP, Premium VIP, and Prestige VIP. There are various bonuses offered in the casino, including, but not limited to, free games, birthday gifts, personal account manager, and VIP live tournaments. Your security is vital when it comes to playing in any online casino. CasinoLuck understands this too well, evidenced by the fact that it uses cutting-edge 128-bit SSL encryption to ensure that your personal and financial data is securely transferred from your server to theirs. The data is also protected by up-to-date firewall technology, and all the information you share with the casino is held with utmost confidentiality. CasinoLuck is committed to the notion that customers are everything and as such, they work round the clock to not only promote your safety but to also ensure you have a vast game selection, reliable payment options and exceptional customer service. They reward you for choosing to be part of their fraternity through their VIP Program. 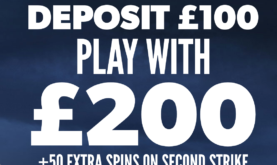 Why not try your luck with CasinoLuck?